Family-centered and goal-oriented, Matt is a true motivator, a doer whose enthusiasm and encouragement rub off on his clients. He grew up in the San Joaquin Valley, and worked his way through college entirely on his own; he has built his business independently over a decade. It’s not surprising that he maintains such close relationships with his clients, because he plans for their unique values, goals, and aspirations. He recognizes that every federal employee must have a unique retirement plan. With Matt’s guidance, your options become clear. You see the reasons behind his recommendations. You see model scenarios illustrating the possible impact of different financial decisions. You have a route to your goals, and a wide choice of tax-advantaged investments to help keep your assets growing in retirement. Financial leadership you can count on. 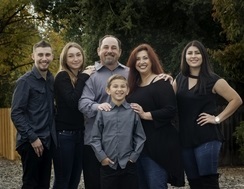 In Northern California and beyond, Matt is a "solid rock" for federal employees who want one knowledgeable financial professional to quarterback their retirement plan. He truly has a wide and varied skill set: He has qualified for the designations of Chartered Federal Employee Benefits Consultant and Chartered Retirement Planning Counselor, and he is also an Investment Advisor Representative with Cetera Advisors LLC.. In addition, he is a Certified Paralegal and a Certified Notary Public. The simplest choice you can make. It’s your choice: would you like to retire with voice mail messages and unanswered questions, or with one-to-one help from a caring professional who knows the tax considerations and potential of your federal benefits? Make the choice for your benefit. Ask Matt McDonald to help you with retirement planning today.